This year’s Northumberland Miners’ Picnic takes place at Woodhorn Museum on Saturday 10th June, and visitors are promised a bumper programme of entertainment and family fun inspired by the county’s rich mining heritage, local history and North East culture. The day begins with an opportunity to reflect on the past as Ashington Male Voice Choir and Ashington Colliery Band join with visitors and guests for the traditional Miners’ Memorial Service at 10.15am. Throughout the day there will be a special Picnic market featuring food and crafts from some of the region’s best producers together with pop-up art workshops and street theatre. 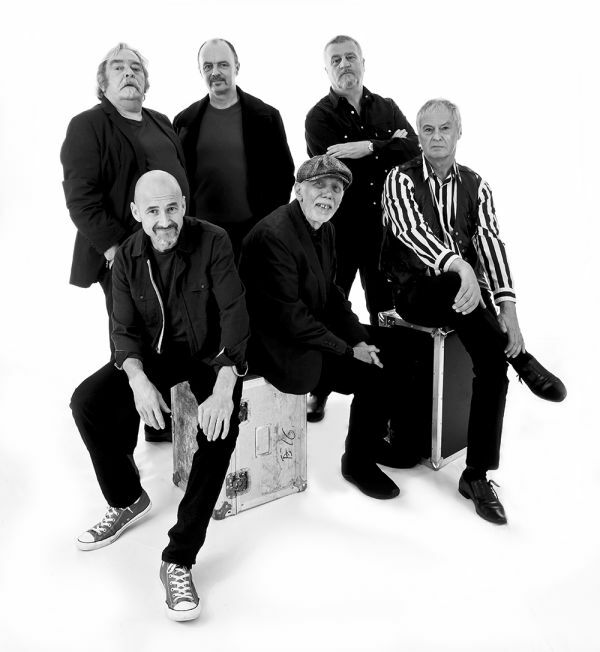 The party will really get started at noon when legendary North East band Lindisfarne kicks off the entertainment on the main stage. The band’s appearance has been supported by Ashington Town Council as part of the town’s 150th anniversary celebrations. Newcastle-based Eliot Smith Dance Company will be paying a very special visit to the historic event at Woodhorn to perform their work, PITMAN. The choreography has been inspired by Woodhorn’s unique collection of paintings by the famous Ashington Group of Artists otherwise known as the Pitmen Painters. Brass band fans will be thrilled to know that four local bands will feature during the afternoon. Ashington Colliery Band, Bedlington Brass Band, Ellington Colliery Band and Jayess Newbiggin Brass Band will each entertain Picnic-goers before joining together as Brass Marras to reprise a work performed for the very first time at last year’s Picnic. Reflection Connection, which was shortlisted for a Culture Award, was created in partnership with the bands, Music Partnership North – Northumberland, composer Lucy Pankhurst, Woodhorn Museum and Sage Gateshead. Renowned folk musician Alistair Anderson will delight Picnic audiences with traditional music from Northumberland and beyond, as well as his own music, which has grown out of his love of these traditions. He will be joined by Dan Walsh, one of the finest claw hammer banjo players of his generation, adding songs, shades of bluegrass and more. Northumberland Miners’ Picnic also marks the start of a new commission, ‘Wonderfolk’. These mysterious and mythical creatures, who are believed to live deep among the coal seams at Woodhorn, will be awakened by a performance of a very special ballad in their honour by Alistair Anderson. Bringing the stage to a close at the end of a wonderful afternoon of music will be Rob Heron and the Tea Pad Orchestra. Described as Newcastle's finest swing-honkytonk-rockabilly band, the music will keep your toes tapping to the very end. Large crowds are expected for this year’s Picnic with high numbers arriving before lunch in time for Lindisfarne’s performance at noon. Visitors are advised to allow a few minutes extra for the shuttle transfer from the main car parking facility at the former Alcan/Rio Tinto site. Blue badge parking will still be available at Woodhorn Museum itself. The normal £3.50 parking charge will apply. A free shuttle bus will operate for those travelling from Ashington town centre. An iconic Routemaster double decker will operate a half hourly service from Ashington Leisure Centre car park on Lintonville Terrace from 10am. Visitors are advised that family pets should be left at home as only assistance dogs are permitted within the museum grounds. For more information about Northumberland Miners’ Picnic, Woodhorn and how to plan your excursion, visit the website www.experiencewoodhorn.com or find Woodhorn on Facebook. This event is supported by Ashington Town Council, bait, and Northumberland County Council. Celebrate the Northumberland Miners’ Picnic 2018: a fun, family day out rooted in local heritage reimagined with a contemporary twist!